Through the arcane social magic rituals of ‘I know a guy who knows a guy‘, I was contacted by one Pehesse, freelance illustrator and aspiring game creator. 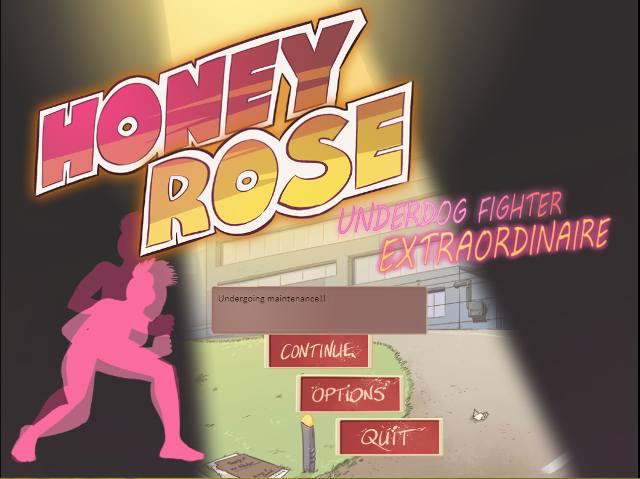 They asked me if I’d be interested in taking a look at their first opus: Honey Rose: Underdog Fighter Extraordinaire, a game that purports to combine visual novel ‘life manager’ mechanics with a 2D side-view beat-em-up. Of course I said yes. That sounds like a match made in heaven! C’mon, tell me that my month of Sakura terror wouldn’t have been vastly improved if the games paused every now on and again to let me wail on some fools. No… no options? Is that sort of thing even *allowed*? With a game this early in development, I’ve never quite sure what I can say depth-wise that isn’t just a result from its unfinished status. No options? Dodgy balance? Screen flickering in certain scenes? Settings seemingly change every time I load up? Hitting the Z button immediately dumps me back to the main menu without so much as an ‘are you sure’? Probably all development artifacts. As a result, I feel I’d have to walk on eggshells when doing a full review: is this real, is that real, or am I commenting on the mirage of a future improvement right now? 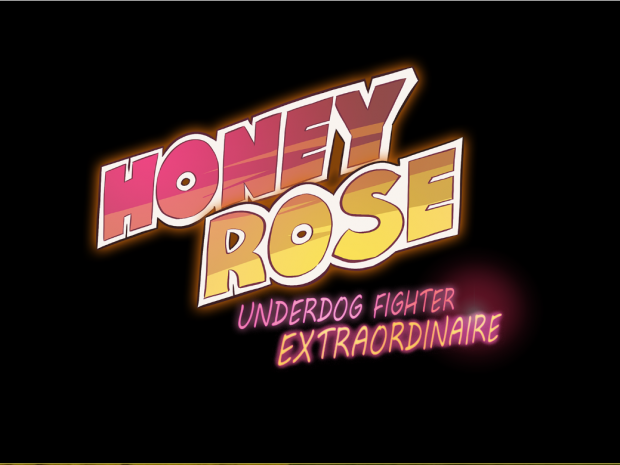 What I can do is tell you a little bit about what Honey Rose aims to be. A summary of a development summary, if you will. It won’t tell you very much about the game’s polish or quality… but maybe it’ll tell you what you need to know. Whether or not you want to be following this game’s development. Or not, if it’s not your thing. Either way is a victory for Team Get People Involved With The Games That They’d Like. After the break: Honey Rose. Does this game follow through on its punchy initial premise?